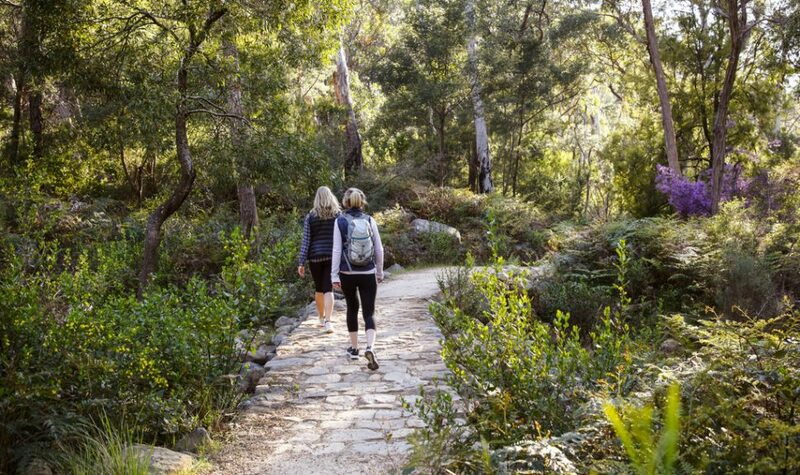 An easy stroll starting in the center of Halls Gap follow the 2.3km track and cross over Stony Creek at the small bridge to the Botanic gardens. Take water and snacks and enjoy the peace and quiet. 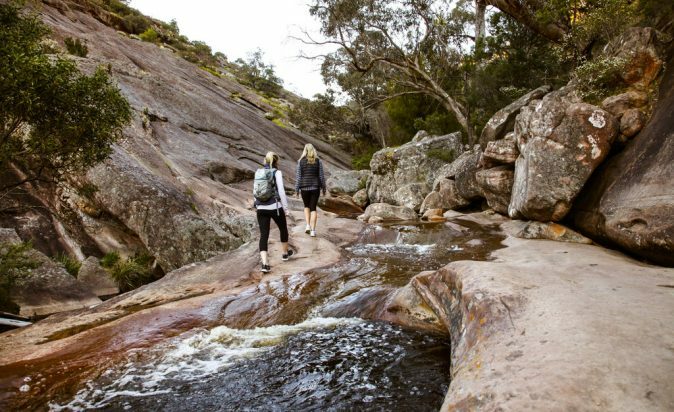 A walking track follows the river up to several deeper rock pools. The track is flat with no obstacles makes for an enjoyable walk and great scenery for all ages. During the warmer months the naturally formed rock pools filled with fresh water make Venus Baths the perfect place to splash around, have some fun and cool off in the naturally formed rock pools. 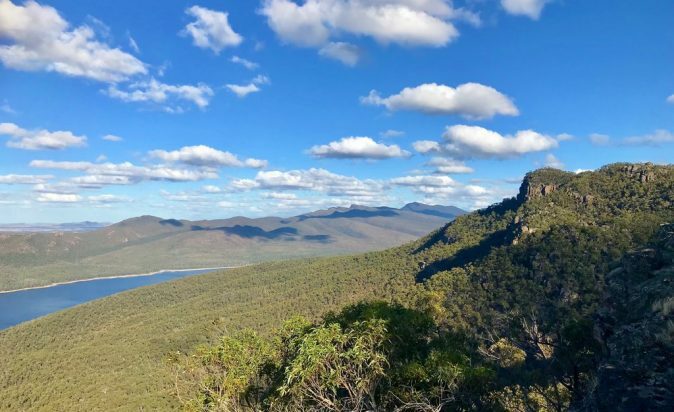 From Sundial car park, follow the wide sandy track through high tussock grasses and stone boulders to the Lakeview Lookout. Enjoy uninterrupted views across to the Mt William Range and Lake Bellfield. Return to the carpark by following the loop track to the intersection of the Pinnacle Track. Here, turn left back to the car park. The Lakeview Loop is a fantastic walk for viewing wildflowers during springtime. 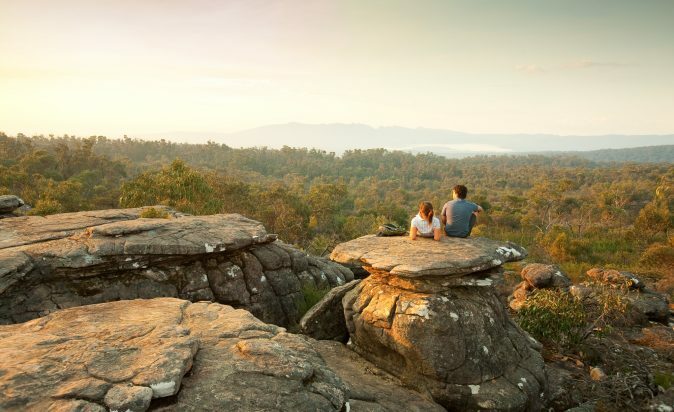 Staring at Reeds Lookout carpark you can walk the relatively easy two kilometers to the Balconies for panoramic views of Victoria Valley and the surrounding ranges. On your way you will pass through native forest and stunning views of Lake Wartook. The unusual rock formations that stick out of the mountain make this spot particularly unique. The Balconies are a great spot for fresh misty mornings and sunset views.